To date, a few microorganisms have been used as host strains for the production of glycolate, including the yeasts Saccharomyces cerevisiae and Kluyveromyces lactis that were resistant to low pH . Chemolithotrophic iron- and sulfur-oxidizing bacteria also produce glycolate as an exudate during the oxidation of pyrite or elemental sulfur . Deng et al. 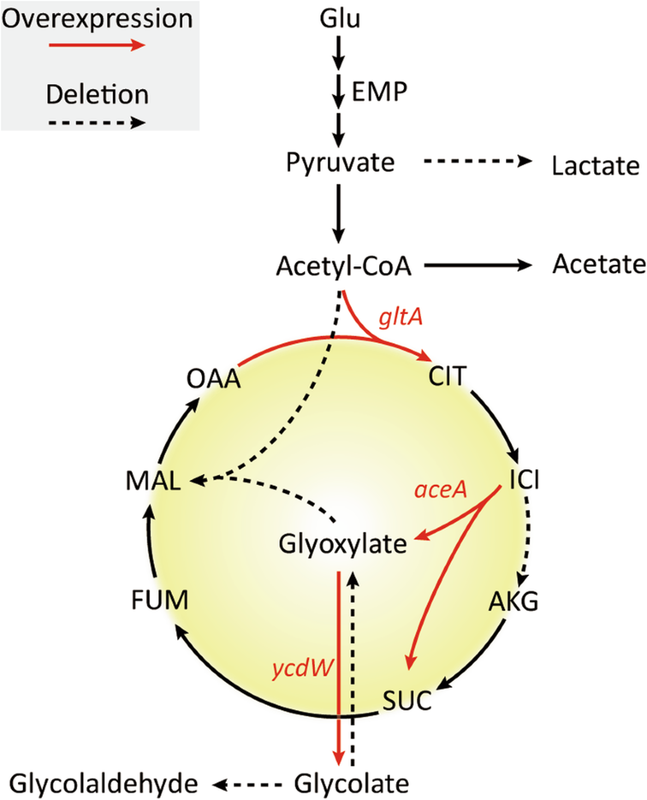 reported that by overexpressing native aceAK and ycdW, and deleting competitive pathways, the engineered Escherichia coli strain produced more than 65 g/L glycolate, the highest glycolate titer reported to date for E. coli . 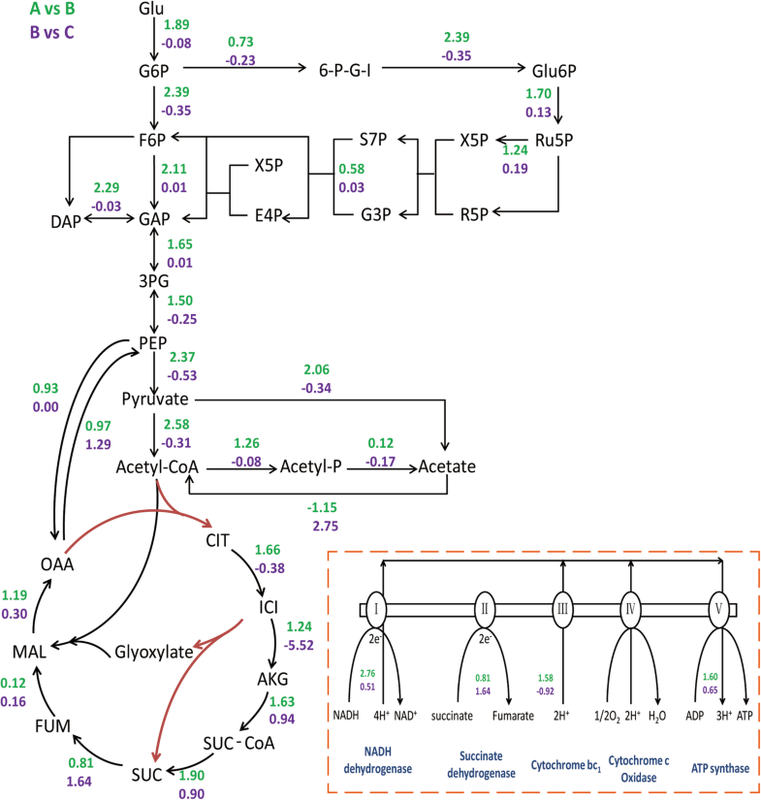 However, when the metabolic pathways of the strain were altered artificially, there were many concomitant changes, such as energy production, cofactors and demand for different nitrogen sources, remained under-investigated. 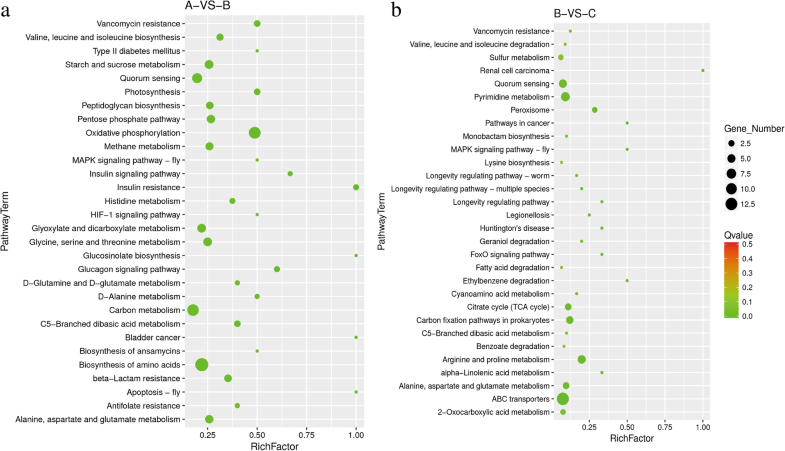 Metabolomics, transcriptomics, and proteomics approaches can detect changes in intracellular metabolism, and thereby help to make product synthesis pathways more efficient. 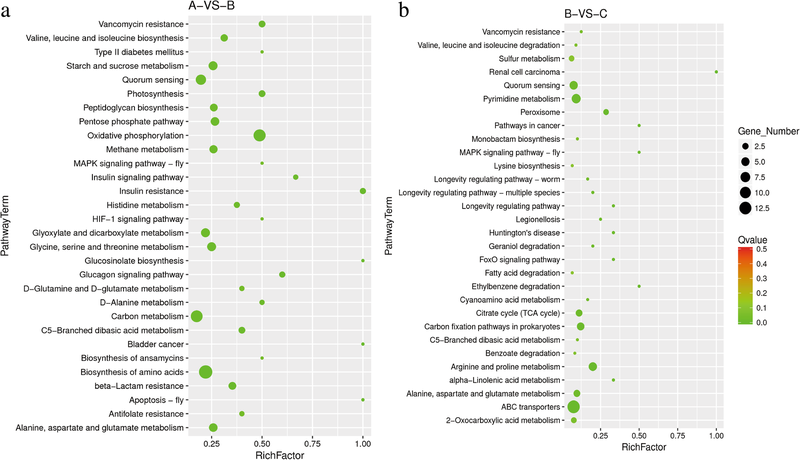 Meanwhile, RNA-Seq has revolutionized transcriptome analysis by facilitating the expression profiling of thousands of genes at the same time [6, 7]. This technique is mainly applied to study transcriptome differences caused by various treatments . Therefore, through RNA-Seq we could investigate global transcriptional changes and have new insights into glycolate-producing strains [9–11]. 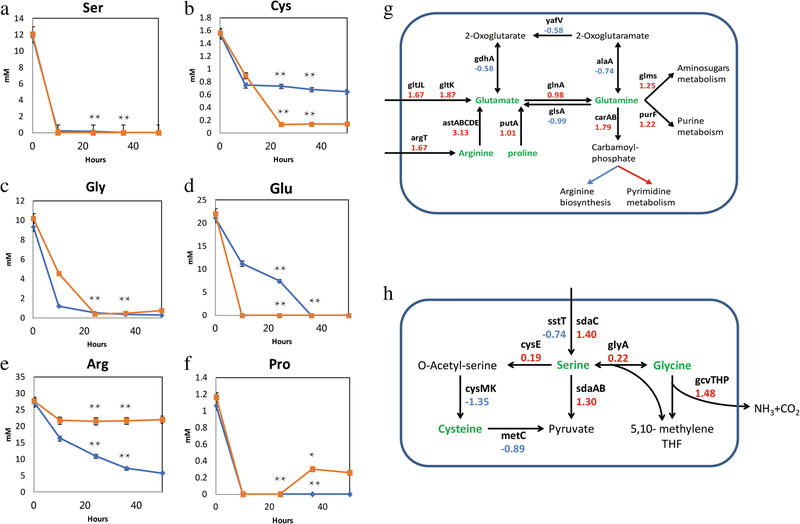 In ‘C’, sodA (superoxide dismutase), fumC (fumarase C) and soxS (superoxide response regulon transcriptional activator), possessing oxidative stress response capabilities, were up-regulated by 5.43-, 3.29- and 4-fold respectively. We speculated that the changes were caused by the excessive superoxide radical. NADP+-dependent ICDH, a source of NADPH for the regeneration of cellular antioxidants, is important for oxidative damage protection . However, in ICDH-deleted strain ‘C’, the cellular antioxidant defense was impaired, thus those genes were up-regulated for maintaining the intercellular oxidation-reduction balance [33–35].